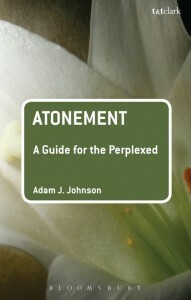 Review of "Atonement: A Guide for the Perplexed"
Adam Johnson’s new book Atonement: A Guide for the Perplexed is now available. John Webster says it shows “acute theological judgement,” and Kevin Vanhoozer calls it “a theological treasure trove.” So please move it to the top of your reading list. Some of the items on that list are, I think, uncontroversial: you can’t do atonement theology without sin, salvation, and the savior, for example. But is Johnson guilty of over-reach when he brings Trinity and divine attributes under the atonement umbrella? Did he just get greedy and list a few doctrines too many? No; atonement and the doctrine of God belong this close together. That is pretty much Johnson’s central insight, or at least the one that determines most of his other moves. His project is to correlate theology proper (the doctrine of God) with soteriology (the doctrine of atonement) as closely and as explicitly as possible. He says that “the contribution of this book lies in its exploration of the logic, or more specifically, the theo-logic, underlying the riches of Christ’s saving work.” (21) That theo-logic is the answer to an underlying question in this Guide for the Perplexed: What kind of God atones? Or more expansively, if atonement is “an event in the life of God himself,” how does the life of God shape and determine the atonement? It’s as if Johnson was puzzling out the unity and diversity of the work of Christ, and decided to map it onto the unity and diversity of the Trinity and the divine perfections. The result is that we end up with an enormous theological complex, the central tracts of the entire Christian doctrinal system, as the site of atonement theology. The center of the book has a fine trinitarian account of the atonement, followed by a rich exploration of how various divine perfections affect the way the doctrine is framed. Subsequent chapters expand to the life of Christ (especially the triduum) and the effect of atonement on “the created spectrum” from angels to animals. There seem to be only two mega-doctrines to work out: Who God is and what God does. And if “Who God is” means the Trinity and the divine attributes, then “What God does” pretty much means the atonement, everything that goes under the heading of bringing humanity into communion with God. Why go big? What results are made possible by this maximizing strategy? And what pitfalls are avoided? Johnson doesn’t spend much time justifying his grand strategy, but the underlying reasons are evident enough, and they show the material theological judgments he has made about the state of the doctrine of atonement in contemporary theology and church life. 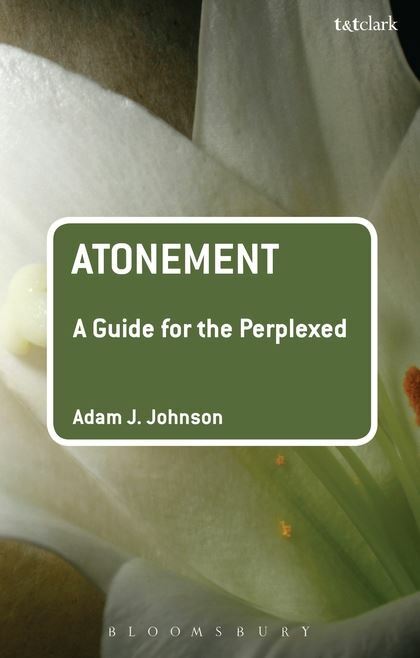 On the prospects side, Johnson is trying to bring about deeper appreciation of the atonement: If it weren’t in the Guides for the Perplexed series, this book could have been called Atonement Appreciation 101. Like a lecturer who gets the privilege of introducing students to a whole set of new-to-them artists or musicians, Professor Johnson brings out one delight after another and holds each of them up for our admiration. Apparently what we most need right now, in his judgement, is a greater appreciation for the scope and complexity of what atonement is. In a footnote, Johnson notes that his approach has some methodological similarities with the “kaleidoscopic approach” of Leon Morris’s The Cross in the New Testament. Because Johnson stays in promotional mode for most of the book, it’s hard to catch him being very critical, and you start to wonder if there’s anything he actually rejects. There is: mostly in footnotes, Johnson dispenses a few disciplinary swats and declares a few projects unhelpful. But with a nearly medieval zeal for synthesis, he seems to be able to assign any atonement theology to a proper context where it can be helpful and illuminating, even if only partial. As a result he is able to make good use of governmental and moral influence accounts of atonement, simply refusing to let them bear more weight than they ought to, but gladly gathering their bits of truth (views like this were always mostly right in what they affirmed but wildly wrong in what they denied). Half-truths don’t bother him at all; he tends to balance them rather than reject them outright. There is something fundamentally conservative about that instinct and style. Johnson is quite concerned to make sure nobody omits anything from a well-rounded atonement theology. There are certain things that are pointedly omitted by some authors on this subject: the ideas of wrath and punishment, for example. Gathering everything in, Johnson is careful not to let these elements of atonement be ignored. One of the sharpest sections of his treatment of divine attributes is the exposition he gives to the difficult doctrine of the wrath of a holy God. What Johnson is vigilant about is the danger of “highly distorted or parochial accounts of Christ’s work,” because he wants the doctrine of the atonement to lead readers back into scripture with better tools for seeing what’s there. “Guides for the perplexed” are curious books. They presuppose that you’re already far enough into a subject to be a little confused, and to need some help sorting things out. Johnson’s book will work to that end. Students who have become perplexed by thumbnail sketches of mutually exclusive “theories of atonement” via Aulén or one of his ubiquitous epigones will find help here untangling those knots. And professors who were tempted to give the Aulén lecture one more time because they couldn’t think of what else to do will find help here to get out of the rut and back into the broad field of vigorous atonement theology. This book could steer us back to teaching about the atonement as if it were almost the only thing that matters. Full disclosure, if it’s necessary for readers of Scriptorium: Adam Johnson is a friend and colleague here on the faculty of Torrey Honors. So in case you mistook this for an impartial or disinterested review, think again. I had the honor of showing Adam where some of the treasure was buried at the beginning of his theological education, right here at Biola.